If we had been told over 5 years ago that Grand Theft Auto V was still going to dominate the charts in 2018, we probably would have doubted it. 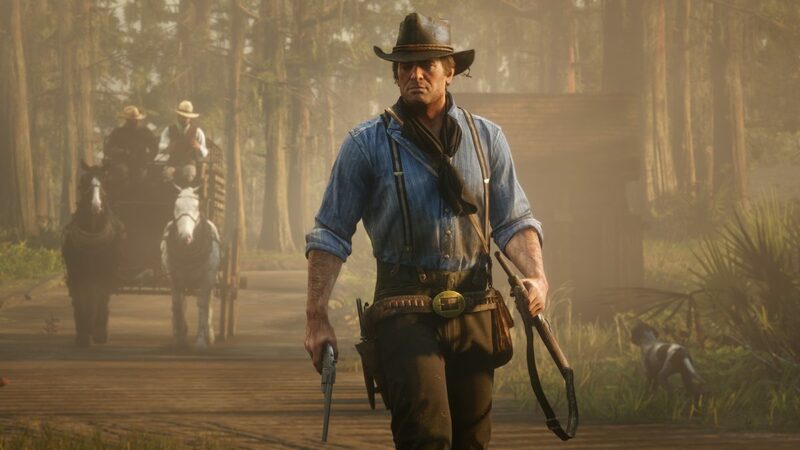 Now its been revealed by NPD that Rockstar Games and Take-Two had an amazing year in 2018 with Grand Theft Auto V and Red Dead Redemption 2 both dominating the US charts for best selling games of 2018. It’s no surprise that Red Dead Redemption 2 came out on top, with how well it did at launch and how popular it still is now. 2K19, a game developed by visual concepts, which is owned by Take-Two also made it into the list. Check out the top 11 below. Take-Two isn’t short of cash, that’s for sure. It would be no surprise to see a similar post in a years time about Grand Theft Auto V dominating the 2019 charts with how popular it still is and how well Rockstar are still supporting the game.